Mark Steinberg, Tiger Woods' agent, says he's talking to another publisher about Tiger's future in videogames. Yesterday, Electronic Arts decided to end its 15-year relationship with Tiger Woods, but this doesn't mean that the red-shirted golfer has been banished from videogames. Today, Mark Steinberg, Woods' agent, revealed that he is currently talking to another publisher about relicensing Tiger's famous face. "We had an incredible run," Steinberg said in an interview with ESPN. "Outside of [John] Madden, you would be hard pressed to find a sports figure that meant as much to a video game company as Tiger meant to EA. But times are changing and EA had to re-evaluate the partnership, and frankly so did we." 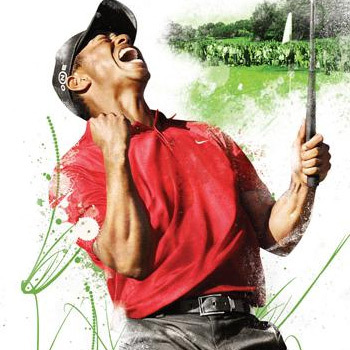 Steinberg and Woods are keeping quiet about who might be interested in developing a new Tiger Woods game, but 2K Sports would be the obvious choice. Tiger was the most dominant player in professional golf during the 2013 season, so his name obviously still carries some weight. And a Tiger-branded game might be just what 2K needs to elbow its way into the golf market. Of course, all of this is dependent on whether or not Tiger can manage to keep winning games and stay out of the news.